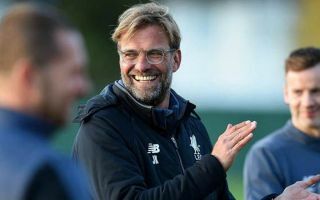 Liverpool face Chelsea in the League Cup on Wednesday night, and Reds boss Jurgen Klopp has had some positive injury news ahead of the showdown. The two sides face off again in the Premier League at the weekend, and so while that is undoubtedly the bigger encounter of the two, both coaches will surely want to advance and enjoy a cup run while taking a step closer to silverware. With that in mind, while they may choose to rotate, it’s fair to expect strong starting XIs from both sides at Anfield, with Klopp confirming that Simon Mignolet will get the start in between the posts ahead of Alisson, as per the club’s tweet below. Further, the German tactician has had some positive news on the injury front, with Dejan Lovren now fit and ready to feature after an injury blow since returning from his World Cup exploits this past summer. With Joe Gomez doing an admirable job filling in for the Croatian international, time will tell who continues to get the nod from Klopp in the heart of the backline. Meanwhile, there was also good news on Virgil van Dijk, with Klopp insisting that the Dutchman is making progress and a late decision will be taken on his involvement on Wednesday night.